Researchers from Imperial College Business School and the University of Cyprus carried out an in-depth analysis of why Cyprus needed to be bailed out to explore what lessons could be learnt from the crisis. COUNTRIES can learn lessons from Cyprus’ economic crash and subsequent bailout package in terms of preventing future financial crises, according to a report from Imperial College London last Friday. In March 2013, Cyprus agreed to a €17 billion (£13.42 billion) international bailout by the International Monetary Fund (IMF), the European Central Bank (ECB) and the European Commission (EC). The magnitude of the bailout was 100 per cent of Gross Domestic Product (GDP) and also involved a bank bail in. This is when the borrower’s creditors are forced to bear some of the burden by having a portion of their debt written off in order for the bank to have sustainable level of debt. The package of measures was aimed at preventing the country from facing the prospect of bankruptcy and becoming the first nation in the European Union to be forced out of the single European Currency, following the country’s large debt problems. Researchers from Imperial College Business School and the University of Cyprus carried out an in-depth analysis of why Cyprus needed to be bailed out to explore what lessons could be learnt from the crisis. According to the researchers, Cyprus suffered from overconfidence arising from around 35 years of almost continuous and robust growth. This resulted in the Cypriot government making poor choices in regards to public finances, such as rapidly increasing public spending in welfare, and ultimately delays in reaching a bailout agreement, which affected the economy. The researchers state in the study that the Cypriot Government’s delay in taking action to avert the crisis was a mistake, which was compounded by the fact that it was too slow to ask the EU for help. The team says that the Government should have negotiated assistance in the summer of 2011 or summer of 2012, instead of completing the negotiations in March 2013. This delay meant that the European Central Bank had to increase the amount of money – called Emergency Liquidity Assistance (ELA) – it lent to Cyprus to keep the banking sector afloat. The impact of the delay meant that unemployment grew from around eight per cent in July 2011 to exceeding 15 per cent by March 2013. In the lead up to the crash, the Government had also introduced financially unsustainable policies that contributed to the crisis. For example, from 2008 the Government increased social security spending on a range of initiatives such as non-means-tested housing subsidies, which were aimed at helping the elderly on lower incomes cope with rising costs, but also had the unintended consequence of helping those who were better off. Over a period of four years, the debt to GDP ratio rose from 48 per cent to 78 per cent. This caused an unsustainable increase in government deficits in a short period of time. The researchers also found that the Central Bank of Cyprus (CBC) did not recognise the rapid increase by other banks in house lending. Demand for real estate from domestic and international buyers from countries such as the UK and Russia rapidly grew, leading to increases in house prices, following the country’s entry in the EU in 2004. Between 2010 and 2012, banks had steadily increased their lending to home owners by around 50 per cent of GDP. When the economy started to falter, house prices began to fall and by 2013 they had dropped by 5.4 per cent, according to the CBC. This rapid fall in house prices pushed households and corporations into negative equity, meaning their homes were worth less than the mortgages on them. As a result, the banks that lent the money with the houses as collateral were exposed to the risk of these loans not being paid back. The researchers say that the housing boom and bust cycle experienced by Cyprus should be a cause for concern in countries such as the UK, where house prices are currently increasing, due to demand from foreign investors. According to the estate agent Savills, ?7 billion of international money was spent on premium London homes in 2013, with just 20 per cent of that spent by UK citizens. Two thirds of the properties bought by international buyers were as investments. Despite a fall in house prices in September, the UK’s biggest property website Rightmove predicts that prices will soar by 30 per cent over the next five years to an average of £318,000 in England and Wales, and more than £715,000 in London. The team also found that bad political decisions at the European and local (Cypriot) level resulted in inadequate understanding of the magnitude of the crisis. For example, in October 2011 the EU member states including Cyprus agreed to the Greek private sector initiative (PSI), when member states agreed to write off around 78 per cent of the value of governmental bonds they were holding in order to reduce Greece’s overall debts. 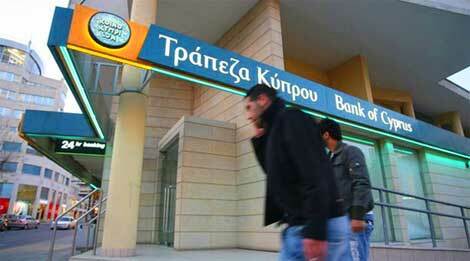 This decision had a negative impact on Cyprus’ banking sector, which was invested heavily in Greek government bonds. They had to write a large proportion of these debts off, which had a negative impact on their balance sheets. The researchers used data from the Central Bank of Cyprus, European Central Bank and Eurostat, which provides statistical information to the institutions of the European Union, to form their conclusions. The report is published in the journal Economic Policy. Perhaps their next case study should be an ethical, moral and fiscal analysis of the compensation that should be paid out to victims of scandalous mis-selling and malpractice. Quite a straightforward summary of what happened and why. : 35 years of unfettered growth, unbelievably lax control by Central Bank and Regulators, loose, sloppy government, too involved in/with Greece and Greek banks. Overblown Public sector, failure to recognise danger signals, “ignore them, something will turn up” attitudes. Doesn’t of course mention ingrained corruption, lending parameters way out of realms of proven banking practice, massive funding and double mortgaging of new development/properties. I Haven’t yet accessed the Full Report but it would be good if Imperial B S and UoC could be encouraged to produce another Paper, maybe two: – ‘How to Get out of the Mess’ and ‘How to Ensure it Can Never Happen Again’ – with an in-depth Supplement maybe on “The Impacts of Loose Bank Lending, Weak Government, Poor Legal Advice, Poor Regulation, Non Existent Consumer Protection and uncontrolled Property Development in the Republic of Cyprus, 2000-2013′. ??? One lesson that has not been learned yet – the country should leave the eurozone. The euro is stifling the potential for economic recovery particularly given the importance of tourism and the revenues that can be earned from that sector.